Pammy Blogs Beauty: Extend and Enhance Your Highlights with SunIn: Not Just for Summer! 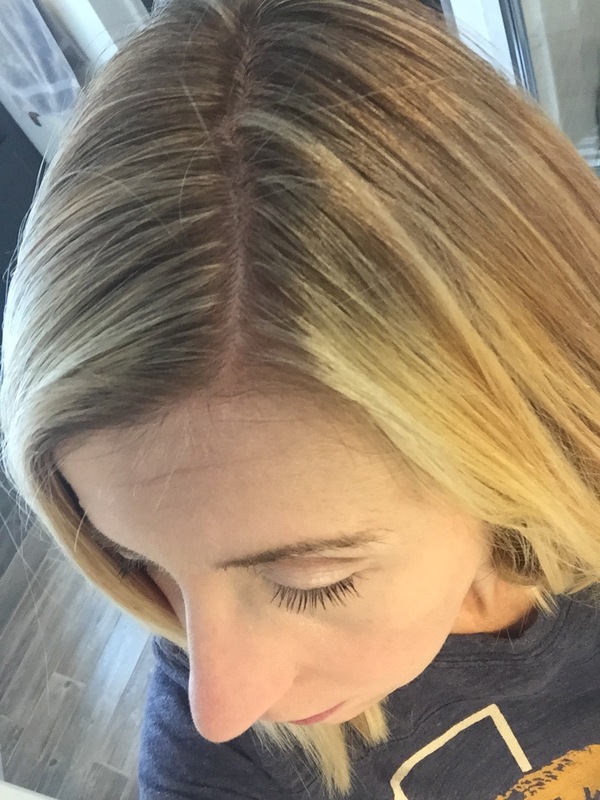 Extend and Enhance Your Highlights with SunIn: Not Just for Summer! Blonde hair is not just for Summer! I love the natural lighening my hair gets from the Summer sun. There is no doubt, the sun-kissed look of Summer blonde hair is gorgeous. However, now that the Summer is gone, we don't have to say buh-bye to our blonde hair. That is right, you can hang on to that sun-kissed look all year round with SunIn! SunIn is honestly a product that I have used on and off since I was a teenager. Yes, SunIn has actually been around since the 70s and they are still going strong. So, they must be doing something right! 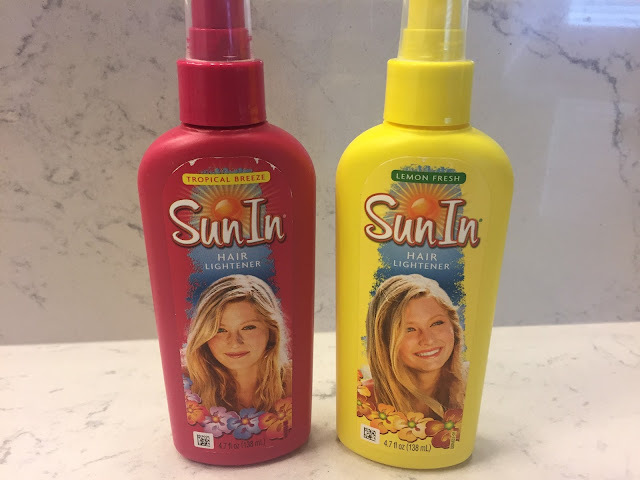 When my hair was mostly its natural color back in the 80s and 90s, I would use Sun-In in strategic spots and streaks throughout my hair to give it "natural" highlights. My hair is naturally dark blonde. So, SunIn lifts it to a lovely blonde shade. This method works both with the sun and with a hair dryer. That is right, no need to give up on your blonde just because the Sun isn't out. SunIn is just as effective with a hair dryer! While I used to use SunIn all over my head in the past, I must mention, that I now get my hair professionally highlighted. However, I still almost always have a bottle of SunIn on hand for home touch-ups. While I do trust the bulk of the work to the professionals, strategic placement of SunIn at my root area can stretch out my time between salon visits. I mean, we all know how expensive those foil highlights a balyage looks are! You can save so much money when you can stretch out your salon visits a bit further. Also, I tend to get partial foil highlights at the salon which leaves my underneath layers primarily untouched. So, I like to go in with SunIn around those underneath areas for general lightening. When I go in with SunIn at my root area for touch-ups, I just spray a bit onto the cotton ball and spradically dab it to my root area. Then I follow up with my normal blow drying. The effect is subtle but noticable to me. I feel like my roots look less noticable when I do this. Like me, my son has dark blonde/light brown hair. At his last hair cut his hairdresser noticed the grow out of his natural sun-streaks from playing outside. I am certainly tempted to use SunIn on him to extend the look of his natural sun streaks from summer. 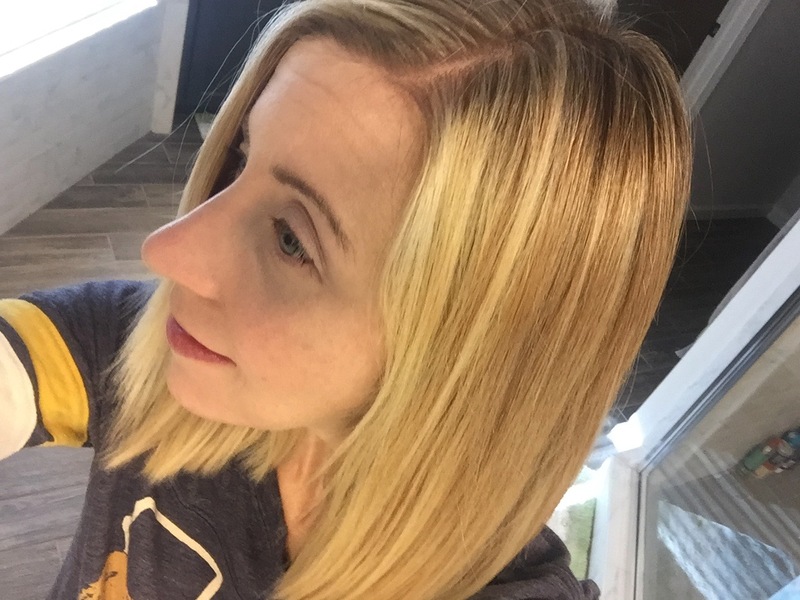 As a dark blonde, I can tell you from years of experience with this product that it works extremely well for my hair color. It lightens me to a light/bright blonde. It gives me really natural looking highlights, just like the way the sun would naturally lighten my hair. 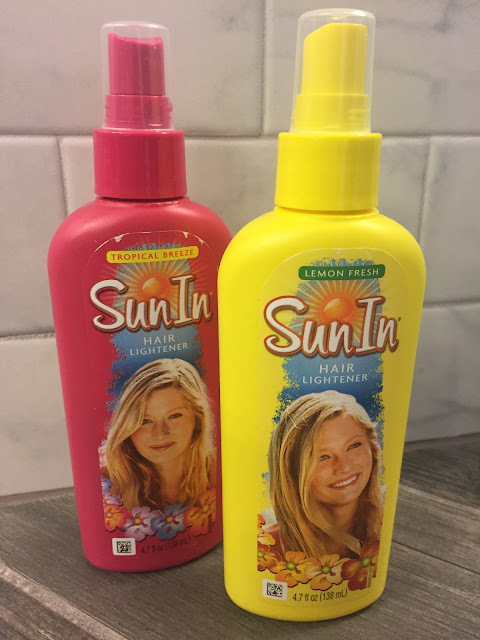 So, yes, SunIn works beautifully for blondes...but, there is more: SunIn wants you to know that this product isn't JUST for blondes! It brightens from blonde to medium- brown hair, too! SunIn is so fast and easy to use. Just spray it in and then either sit in the Sun or use your blow dryer to dry your hair. It is honestly so easy and user-friendly. Just spray or dab strategically and that is all of the work it takes. Plus, Sun-in is alcohol free. It conditions while it lightens. You can find SunIn here! :) Happy lightening! Get your Summer blonde look year-round. No reason to say buh-bye to sunkissed hair! 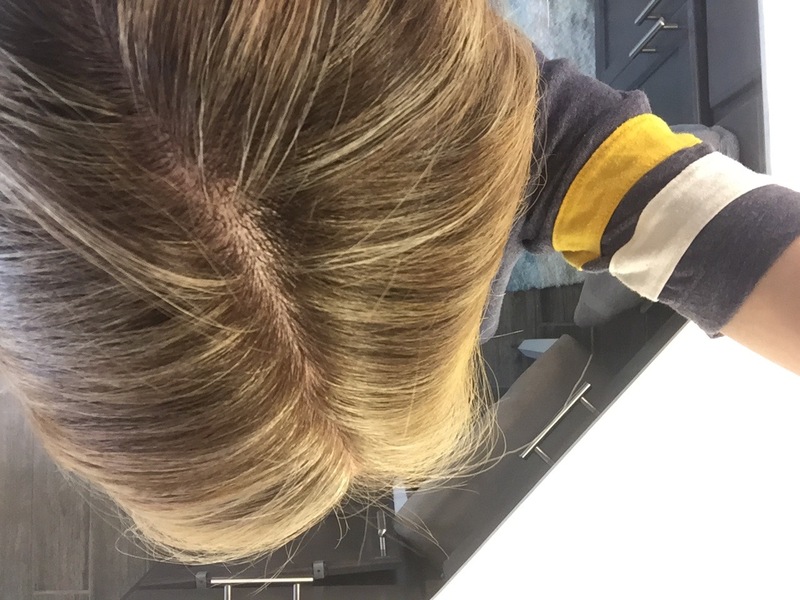 Or if you are like me and like to stretch out those salon visits, you might want to use Sun-In strategically at your roots to give yourself more time between full salon visits. Overall, I really love using SunIn! 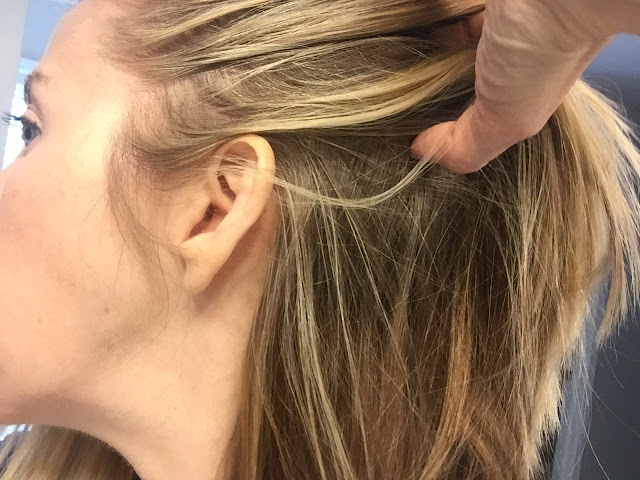 SunIn gives you the same natural highlights you get from the sun ...only faster! SunIn contains an advanced conditioning system which includes botanical extracts and special illuminators that give hair an extra dose of shine. OMG that is a GENIUS idea for SunIn!! !